In this story, you’ll see exactly why home staging works. Imagine you’re trying to buy a home right now, or remember back to the last time you went house hunting. Think about the emotional roller coaster of going out to spend what feels like a huge amount of money. You’re doing it because you want your life to change in some way. Buying a new home is an exciting time because you’re about to move onto a new chapter of your life. But it’s also stressful. It’s so much money, and you don’t want to make the wrong decision. Before: An awkward and cluttered layout, this room feels small. 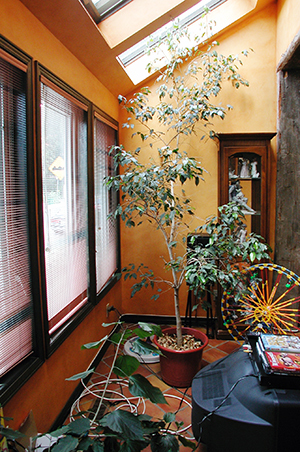 After: A calm and attractive oasis that appears much larger. You’ve looked at so many properties online and your real estate agent has shown you dozens more in person. Ugly kitchens, awkward layouts, awful decor. It all starts to blur together in your mind. You’re starting to wonder if it’s even possible to find the right place in your price range. You drag yourself through 6 houses in one day. The listings all “sound” great. With each one you have renewed hope that you might actually be able to find something you love and that you can afford. But with each new stop, your disappointment and frustration grows. You drive up to a house with great curb appeal. It feels like it might be your new home, even before you’ve stepped out of the car to go inside. You enter and within minutes decide, “This is home!” It just hits you at an emotional level. 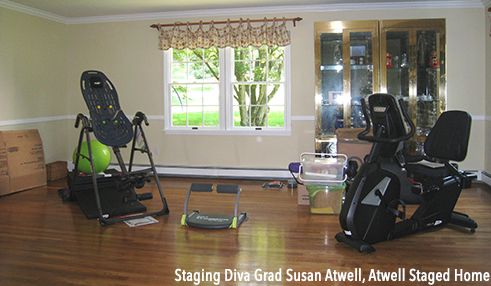 That’s what a Staging Diva® Graduate Home Stager can do for your house and why home staging works! People believe they can look past ugly decor or empty rooms and see ‘potential’, but most can’t! Real estate buyers are pretty unimaginative and take things at face value. That’s why successful builders use Model Homes and Model Suites to sell their projects. Before: Home buyers won’t know how to use this room. After: Buyers can imagine how their own living room furniture will fit. Savvy home sellers realize that creating a “show home” environment will entice buyers. Knowing that home staging works, many of these home sellers are hiring a home stager even before hiring a real estate agent. Home buyers start house hunting with a logical list of criteria, but the home they actually buy is chosen largely by emotion. A Staging Diva Graduate Home Stager’s goal is to allow potential buyers to walk into your house and have that “this is home” feeling. Once a buyer falls in love, forget logic! Suddenly the “must haves” on their real estate list don’t seem so necessary. They just know that this property “feels like home” and after the long roller coaster ride of house hunting their search is over and they’re ready to settle down. And they don’t want to wait for another buyer to scoop up your property before they can put in an offer! In addition to decorating your house to sell, Staging Diva Graduate Home Stagers also pay attention to the “little” things like poor lighting cracked ceilings and overstuffed closets. They will identify any problems that might prevent a potential buyer from falling in love with your house. Remember they buy on emotion so don’t expect potential buyers to overlook all the problems that have annoyed you about your house for years! Home staging works best when potential buyers see your home as “move in ready,” and they aren’t worried about underlying issues that will be a nuisance or expensive to deal with. 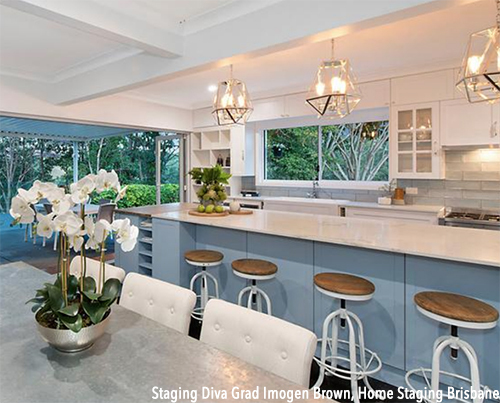 Staging Diva Graduate Home Stagers can be objective about your rooms— evaluating with the eye of a highly critical buyer and finding solutions with the eye of an experienced home stager! Turning chaos into calm, cramped spaces into open inviting rooms, or even furnishing an entire empty house! 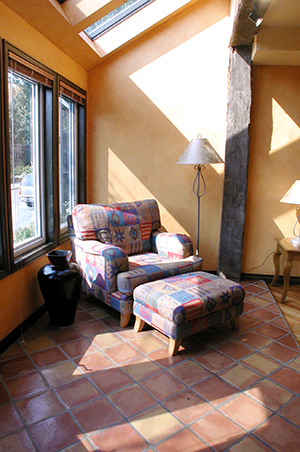 Professional Home Stagers quickly develop a plan to get your home showing ready. They can give you the plan to do the work yourself, or manage the entire process for you. > Learn more about what to expect when you hire a home stager and what it costs. > Read case studies for proof home staging works. Can a Regular Person Like Me Become a Successful Home Stager? A close-up look at 10 inspiring stagers whose lives were transformed by their new home staging careers! 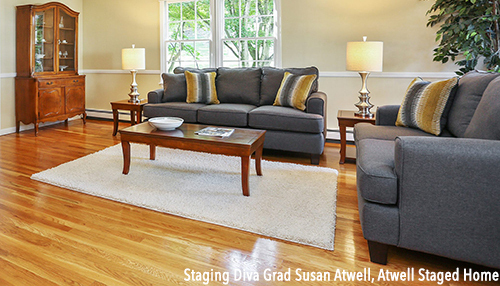 Plus get the FREE "Staging Diva Dispatch" with monthly staging tips and jobs!